Good afternoon everyone! I hope you are all having a warm and lovely Wednesday. We are having some chilly weather here so finding ways to keep warm can be a bit of challenge. In the south, most people run heat pumps and while they are efficient heat most of the time, they do not like extreme cold temps. So to keep my power bill in check, I’m keeping the thermostat set low and piling up under blankets. Another great way to warm up is a super hot bath, warm and relaxing! One way I like to make my bath a little more relaxing is bath bombs, bonus the added moisturizers help my dry skin too. A new brand that I have been using a lot of is Soapy Bliss and their adorable Cupcake bombs are what turned me on to the brand. When I was in Vegas last year I met with the owner of Soapy Bliss and fell in love with the brand even more. 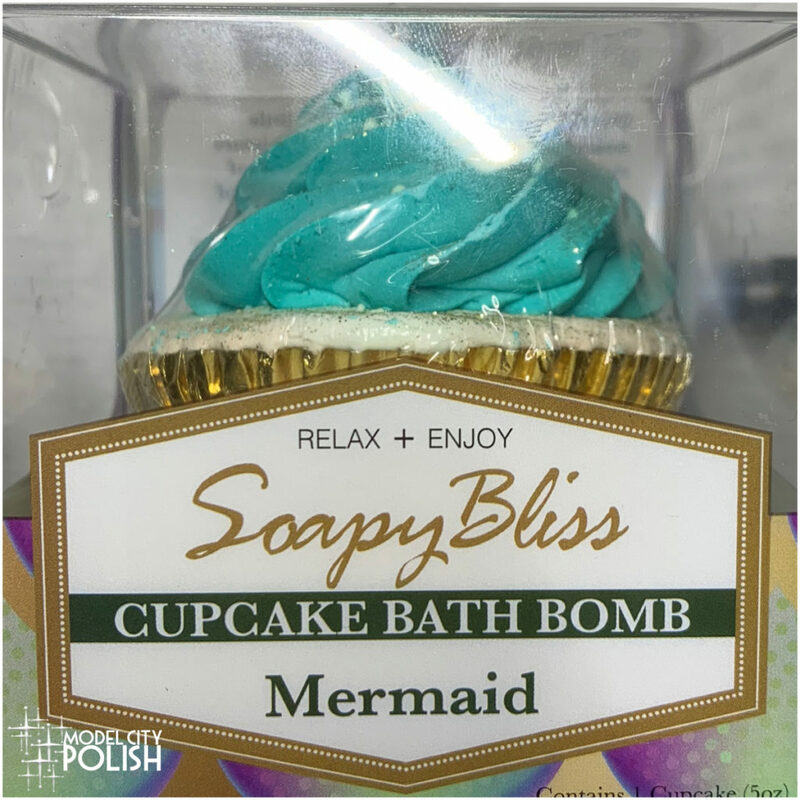 Soapy Bliss has a good variety of bath and body products with their Cupcake Bath Bombs being a signature item you must try. Not only are these bombs cute little cupcake replicas, but they are also a two-part treat. The “cake” part is your traditional bath bomb packed with Organic Mango Butter, Organic Avocado Oil, Essential and/or Fragrance Oils. Just remove the foil and drop the bottom half in the tub. Now the “icing” part is a mild sugar scrub. You can use these piece for some exfoliation and when done just drop into the tub to melt. 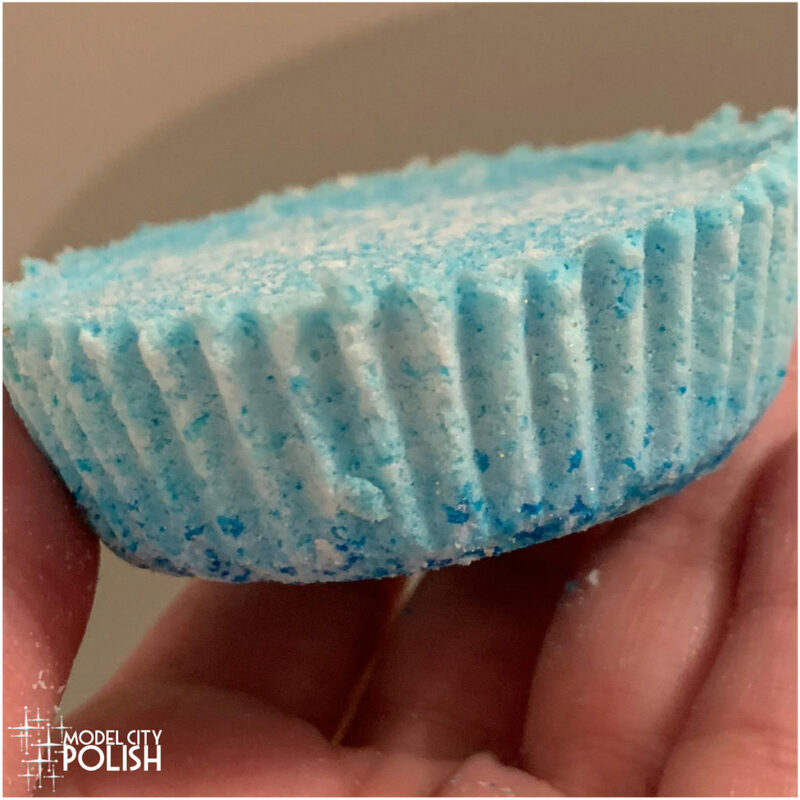 I had the pleasure of trying out the Mermaid Cupcake Bath Bomb from Soapy Bliss. This bomb is a scent mix of a creamy island coconut and a salty ocean breeze. This bomb also left the water tinted like some tropical island waters and didn’t stain at all! 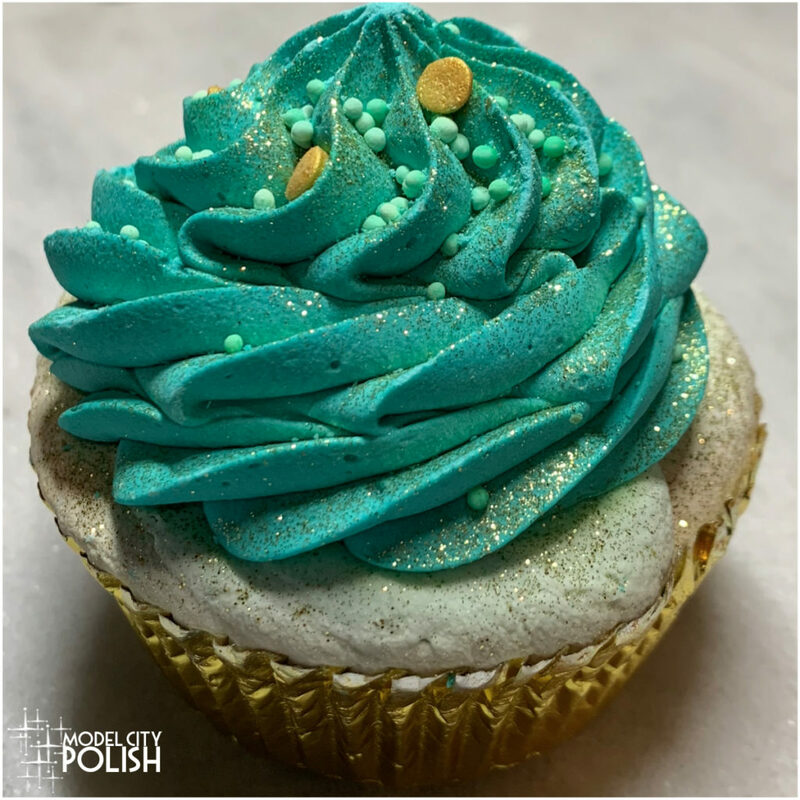 So what do you think of this adorable Cupcake Bath Bomb from Soapy Bliss? I love that they are a two-part bomb and for $5, you can’t beat the price! Please take a moment to check out all that Soapy Bliss has to offer, I’m sure you will find something you love. Thank you so much for stopping by today and I will see you all again soon! I love the presentation of this! And it’s soap and a bath bomb. Yes! Very clever design I love that idea & packaging! It looks yummy enough to eat, lol. What a great looking bath bomb. I think this would look as good outside my bath as in it. More affordable than LUSH! I really like bath bombs so this is one I’m going to be checking out. Especially recently, a nice hot bath would do wonders for my mental mood. This is great, look the look, would make fun to have on hand for a nice lil prank too! Heheh! It looks so pretty, like a real dessert! $5! 2 part bath bomb and it’s adorable? I’m sold! Omg, what a cute bath bomb! 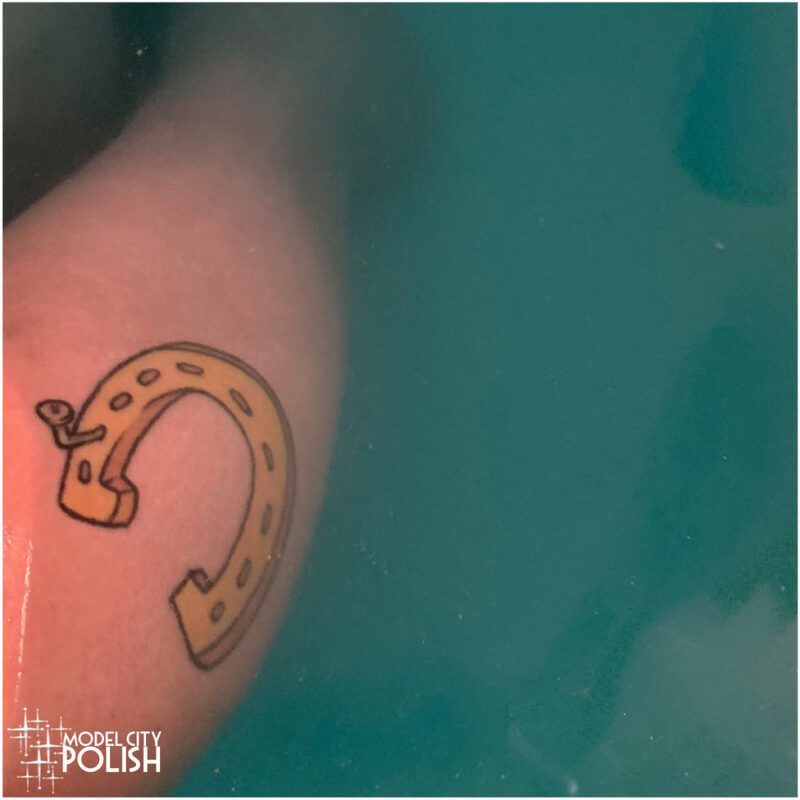 Bath bombs are my jam! I wish the large size ones weren’t $12, but the one you tried sounds like absolute heaven for me. Gorgeous waters! Omg this almost looks a little TOO good. And I love that the icing works as a scrub, too!